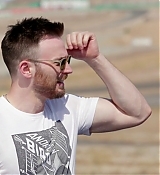 Netflix has obtained global distribution rights, excluding China, to The Red Sea Diving Resort, the Chris Evans-starring biopic from writer/director Gideon Raff and BRON Studios. The film, which Netflix will release later this year, is based on one of the most remarkable rescue missions in history. It was previously reported that STXinternational had the UK and Ireland distribution rights but we hear STX sold international rights to the streamer. The pic follows a group of Mossad agents and Ethiopians who in the early ’80s used a deserted holiday retreat in Sudan as a front to smuggle thousands of refugees to Israel. Chris Evans plays Ari Kidron, the Mossad agent who leads the mission together with courageous local Kabede Bimro, played by Michael Kenneth Williams. Haley Bennett, Alessandro Nivola, Michael Kenneth Williams, Michiel Huisman with Greg Kinnear and Sir Ben Kingsley co-star. Raff produced the pic, via G. Raff Productions, along with Aaron L. Gilbert of BRON and Emjag’s Alexandra Milchan. Jason Cloth of Creative Wealth Media served as executive producer. Evans has just dropped out of an upcoming Netflix film called The Devil All The Time, but Stan has stepped in to replace him. Is this a precursor of what will happen with the Captain America franchise in the MCU in the wake of Avengers: Endgame? Who knows, but you can read more about The Devil All The Time cast below. Deadline reports that Stan is taking over for Evans in The Devil All The Time because of a scheduling conflict. Earlier this week, we wrote about how Evans signed on to lead a new science fiction film called Infinite from director Antoine Fuqua, and Deadline also mentions that Evans is gearing up to start production on Defending Jacob, a limited series he’s producing for Apple. In that series, Evans will star as an assistant district attorney whose son is accused of murder. This sounds like an ambitious adaptation, and I’m curious to see if Campos can keep this many plates spinning at the same time. Stan has proven himself to be an impressive actor even outside the Marvel universe – his work in I, Tonyaand especially last year’s Destroyer (where he had killer chemistry with Nicole Kidman) leads me to believe we’ve yet to see him reach his full potential on the big screen. In the next few days, I’ll be able to screen cap the trailer of Chris including working on a new theme. I’ve been swamp with work. It’s been nearly two months since Chris Evans posted a melodramatic tweet about Avengers 4, writing that he had officially wrapped his work on the future blockbuster. 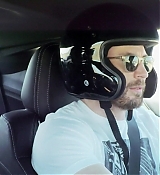 “It was an emotional day to say the least,” he wrote, a melancholic note that many fans assumed was Evans’s way of saying that his time playing Captain America had come to an end. He later had to double back and address fervent fan speculation after his message went viral: “I know it had a ripple effect, but I am neither confirming nor denying anything,” he said, cagily. So fan speculation resumed, with the popular consensus being that Evans would most likely put down Cap’s shield after Avengers 4. But now, we have a wrench in the form of the film’s co-director Joe Russo, who has helmed the last two Captain America movies and Avengers: Infinity War with his brother, Anthony. In a recent interview with the Associated Press, Russo weighed in on Evans’s tweet. But instead of brushing it off or playing it down, he made the whole affair even more confusing. “I think it was more emotional for him than us only because, you know, he’s not done yet,” Russo said, with a little laugh. In that small laugh is an entire universe of spoilery knowledge. O.K., but: how could the wrap-up of Avengers 4 be more emotional for the actor if Evans is not, in fact, finished with the Marvel Cinematic Universe? Well, that’s a beautiful pile of nothing. Soon, we will all be enlightened—but for now, Russo is going to enjoy playing little mind games. The director also spoke a little bit about the upcoming film, saying that it’s halfway through the editing process and currently stands at about three hours long. He also talked a bit about Disney’s recent $52.4 billion acquisition of 21st Century Fox, which now makes it possible for characters like Deadpool, which were owned by the rival studio, to pop up in the main Marvel movies, though that process might take some time. “It seems like—I haven’t talked directly to Kevin [Feige, Marvel Studios head] about it, so I don’t know what his plans are—but my guess would be that there’d be a little bit of time to integrate some of the other characters,” Russo said. Which is nice, because we will need more stars to fill up the space left behind by Captain America if, or when, or if he goes. 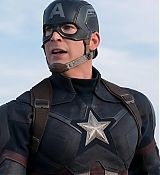 Chris Evans has played Captain America since the character received his own eponymous film in 2011. Although there’s some indication the actor might no longer play the hero following Avengers 4, Evans has explained what draws him to the First Avenger. “He is injected with a serum that turns him into Captain America – and Dr. Erskine knows Steve won’t take advantage of the gift of power and will always protect the weak,” he continues. Ever since filming for Avengers: Infinity War and its sequel Avengers 4 began, rumors have abounded that the two films would serve as the final adventure for many of the Marvel Cinematic Universe’s longest-serving heroes. 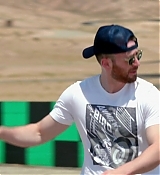 While the future of many characters is still up in the air, Evans previously said that he wouldn’t be opposed to returning to play Captain America. After all, the actor’s contract with Marvel was up after Infinity War, but he extended it for Avengers 4, when it was decided to split the movie into two. However, Evans has also said he would not return to the role following the upcoming film, so it’s unclear exactly what will happen. Marvel Studios: The First Ten Years will be released on Nov. 20. The sequel to Avengers: Infinity War will release on May 3, 2019. Directed by Joe and Anthony Russo, the film stars Robert Downey Jr., Josh Brolin, Mark Ruffalo, Tom Hiddleston, Chris Evans, Chris Hemsworth, Jeremy Renner, Chris Pratt, Elizabeth Olsen, Sebastian Stan, Benedict Cumberbatch, Paul Bettany, Samuel L. Jackson, Cobie Smulders, Benedict Wong, Zoe Saldana, Karen Gillan, Vin Diesel, Dave Bautista, Pom Klementieff, Scarlett Johansson, Paul Rudd, Evangeline Lilly, Tom Holland and Anthony Mackie. Chris Evans seems to be hanging up his shield and saying farewell to his role as Captain America. 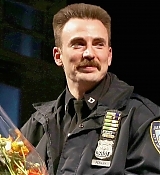 Evans, who has played Steve Rogers, aka Captain America, since the 2011 movie “Captain America: The First Avenger,” tweeted an emotional message on Thursday about signing off from the upcoming “Avengers” movie. Evans has been hinting for years that “Avengers 4” would be his last appearance in the role. Earlier this year, Evans told USA TODAY that he’d be a part of reshoots for the next “Avengers” movie but revealed no plans for Cap beyond that. USA TODAY has reached out to Evans’ representatives for comment to confirm whether this is his final appearance as Captain America. EXCLUSIVE: Christine and Simon Killer director Antonio Campos has set up his next film just in time to be a hot Toronto sales package. Tom Holland, Robert Pattinson, Mia Wasikowska, Chris Evans and Tracy Letts are in talks to star in The Devil All the Time. The pic is an adaptation of Donald Ray Pollock’s 2011 novel that Campos and Paulo Campos penned. 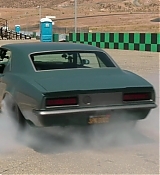 Antonio Campos will direct. The film will be produced by Randall Poster, and Jake Gyllenhaal and Riva Marker of Ninestories Productions. Production is set to get underway in February 2019. 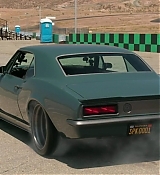 The Devil All the Time now joins other film projects on the burner for Campos, who has signed on to rewrite and direct the Fox Searchlight horror film Splitfoot, and is aboard to direct a prequel to The Omen for 20th Century Fox. Campos is coming off last year’s critical hit Christine, and has been busy on the TV side of late, directing and executive producing USA’s The Sinner starring Jessica Biel. As a producer, his credits include Martha Macy May Marlene, James White, The Eyes of My Mother and Piercing. Endeavor Content is raising the financing and will broker distribution. 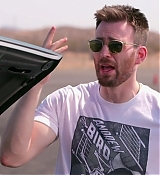 Yesterday, Chris appeared on Jay Leno’s Garage and show Jay the car that Robert Downey Jr gave him. Enjoy the HD screencaptures from the episode.